Disney Infinity Toy Box Takeover Or Speedway Just $9.99! PLUS FREE Shipping! You are here: Home / Great Deals / Christmas Deals / Disney Infinity Toy Box Takeover Or Speedway Just $9.99! PLUS FREE Shipping! Right now you can get Disney Infinity Toy Box Takeover or Speedway for just $9.99 down from $19.99 at Best Buy! PLUS FREE Shipping! At Walmart they start at $17.56 and on Amazon they start at $11.99. Click here for Disney Infinity Toy Box Speedway just $9.99 PLUS FREE shipping! 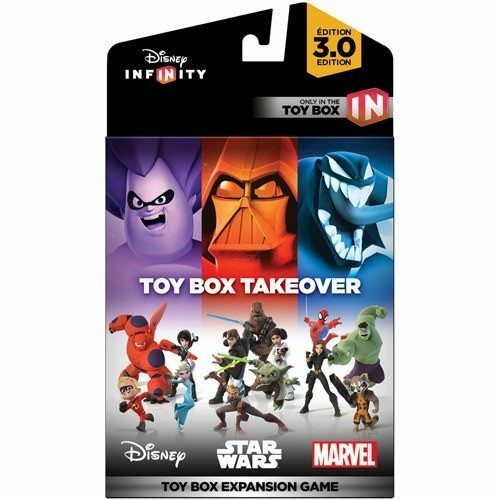 Click here for Disney Infinity Toy Box Takeover just $9.99 PLUS FREE shipping! * Disney Infinity: 3.0 Edition video game and Base are required for use of this Toy Box Expansion Game. Disney Infinity CARS figures are not compatible with the Toy Box Takeover Expansion Game.